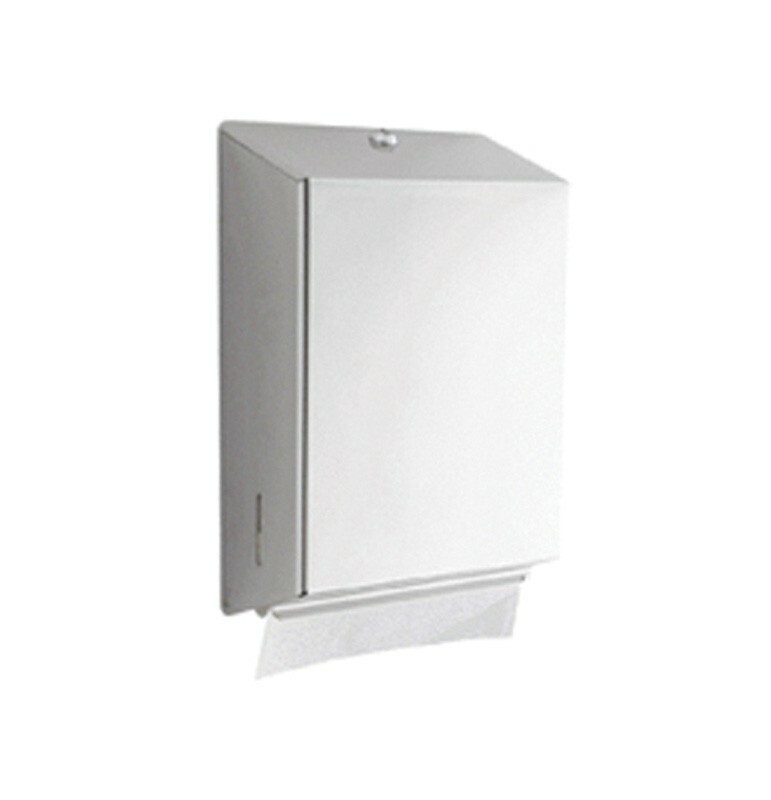 Large Polished Stainless Steel Towel Dispenser will fit a wide range of hand towels - from interleaved, c-fold, z-fold and multi-fold. Excellent for use in demanding locations, such as within schools and public and executive washrooms. Manufactured from tough, polished, stainless steel this dispenser will not rust and can be used within a food preparation area and is fitted with a lock for extra security. 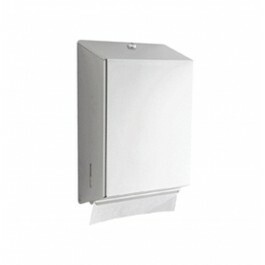 The dispenser is also perfect for users who require an extra touch of class in their washrooms. The dispenser also features a visual indicator, which helps to show when a towel top-up is required. Ideal dispenser to help prevent vandalism from occurring. Versatile design fits interleaved, c-fold, z-fold, and extra narrow towels. Can be topped up whilst in use - never need run out of towels.